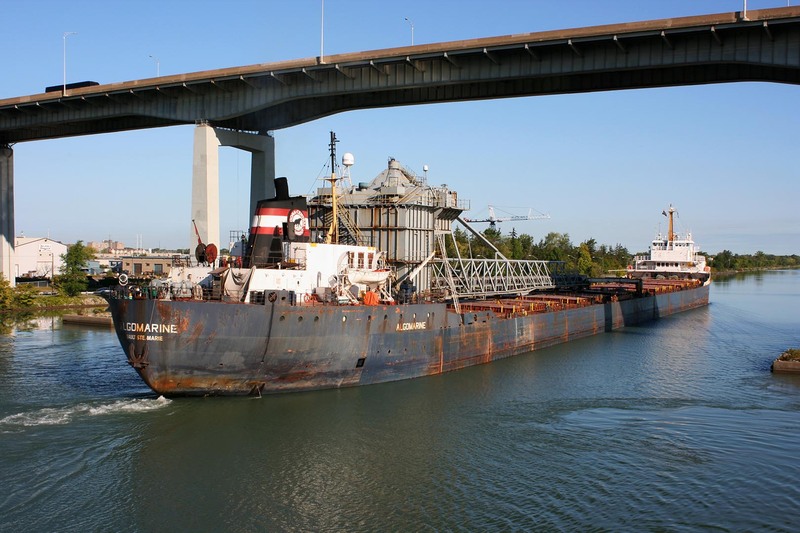 Approaching Homer Bridge on the Welland Canal, Sept. 16, 2012. 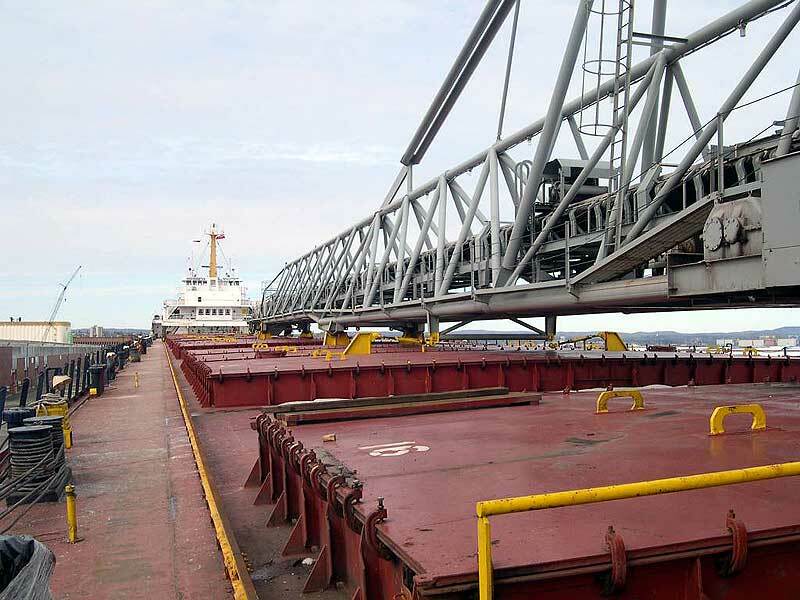 Built as a straight-deck bulk carrier by Davie Shipbuilding Ltd., Lauzon, QC; this vessel was launched in 1968 as the Lake Manitoba for Nipigon Transports Ltd. (Carryore Ltd., managers), Montreal, QC. Fueled by intermediate grade 180 fuels, she is powered by a single Sulzer 6RD76 diesel engine rated at 9,470 b.h.p. 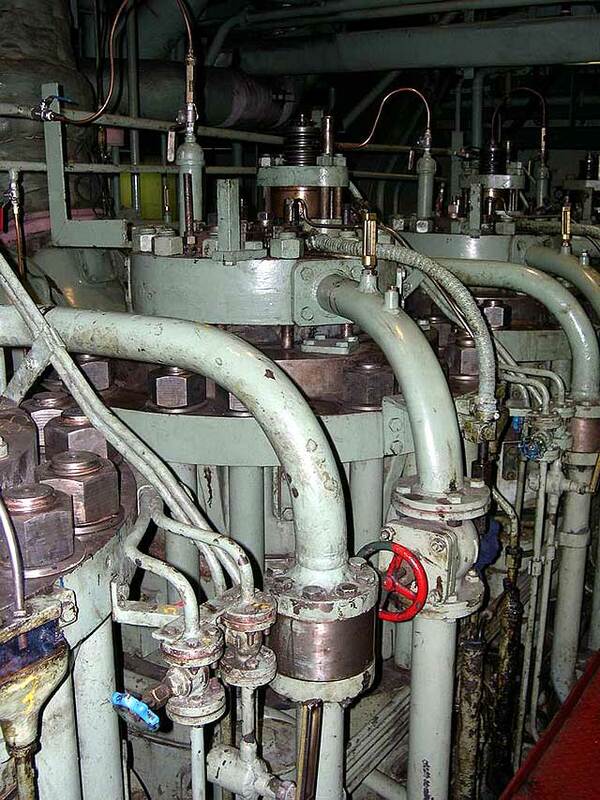 driving a controllable pitch propeller giving her a rated service speed of 17 m.p.h. 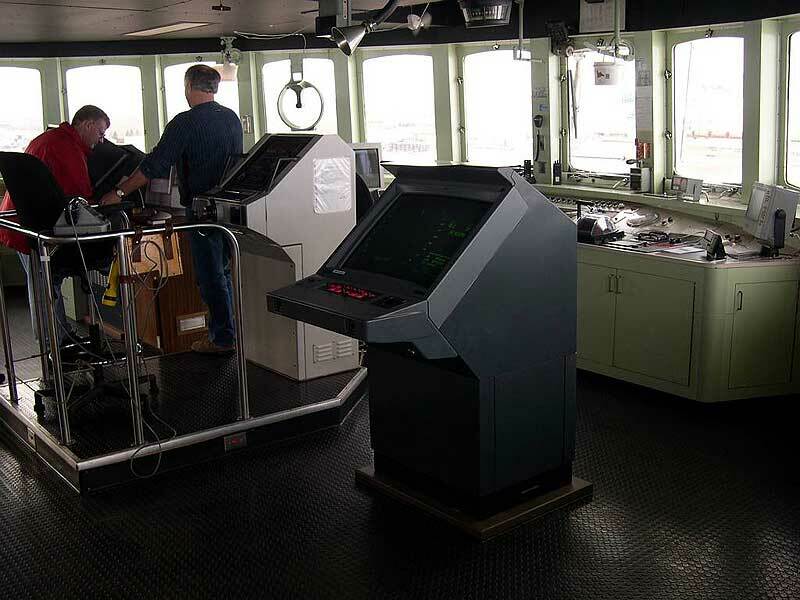 She is equipped with an 800 horsepower bow thruster. 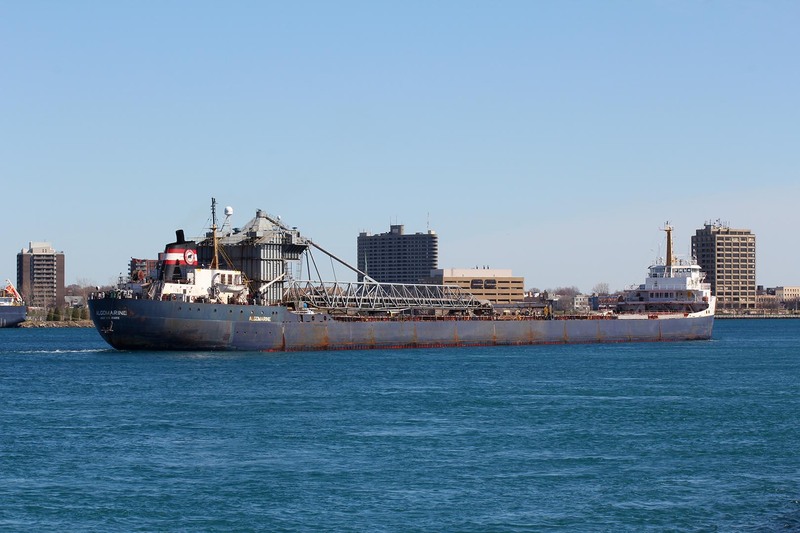 This vessel has 16 hatches feeding into 6 holds where she can carry 24,800 tons at maximum Seaway draft of 26 feet and is capable of carrying 27,000 tons at her maximum mid-summer draft of 27 feet 8 inches (current statistics). 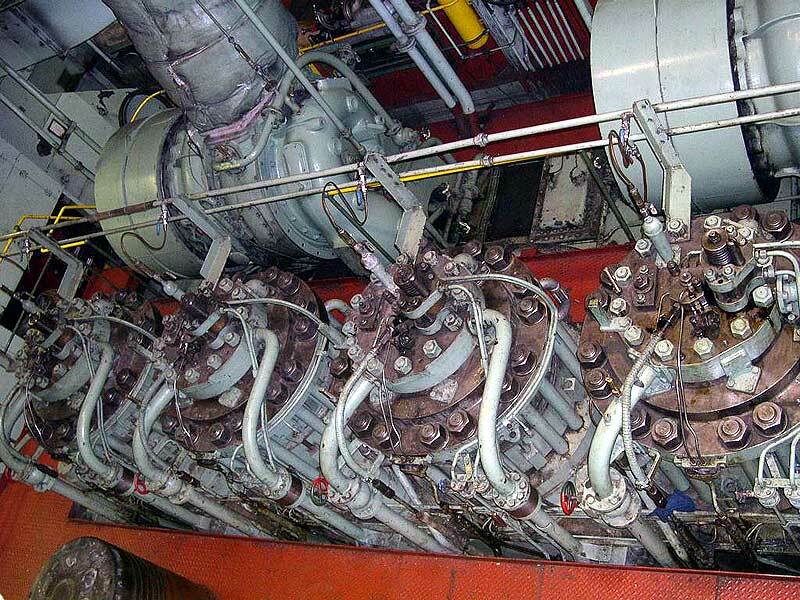 Other capacities include 399 tonnes of fuel oil, 68 tonnes of diesel oil, 78 tonnes of potable water, and 14,337 tonnes of water ballast. 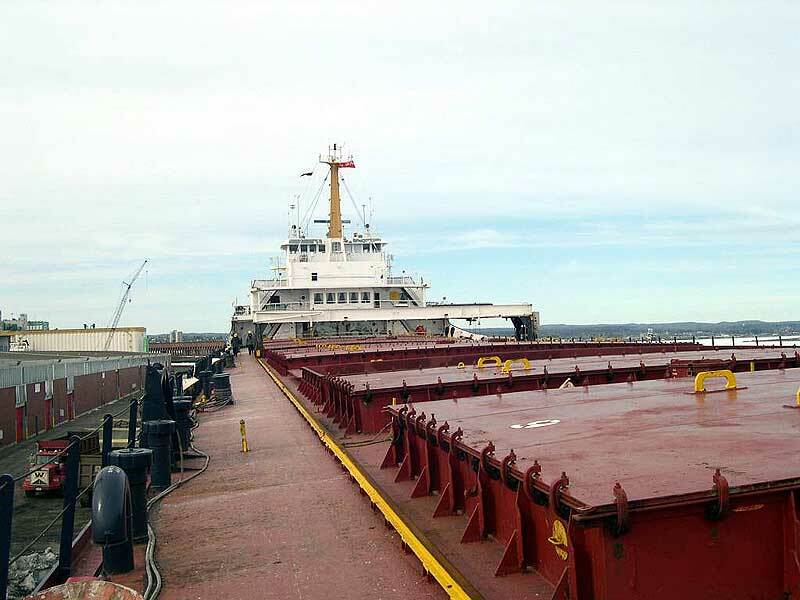 As part of the small Nipigon fleet, the Lake Manitoba was kept busy in the grain and iron ore trades. 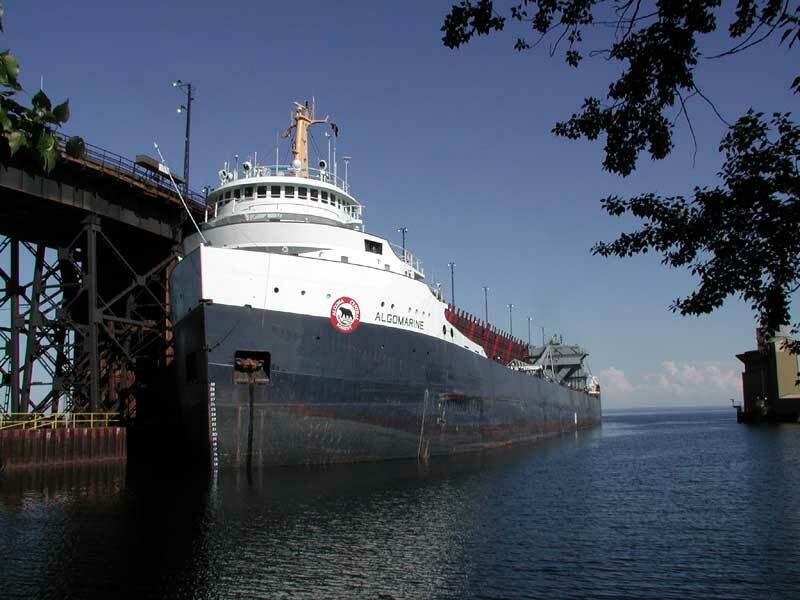 The other vessels in this fleet were the Lake Winnipeg (scrapped 1985), Lake Nipigon (Algonorth), and the Lake Wabush (Capt. Henry Jackman). The Nipigon fleet was the sister operation to the small Carryore fleet both jointly owned by the grain firm Cargill and Hannah Mining. Hannah acquired the Cargill shares of the operation in 1985. 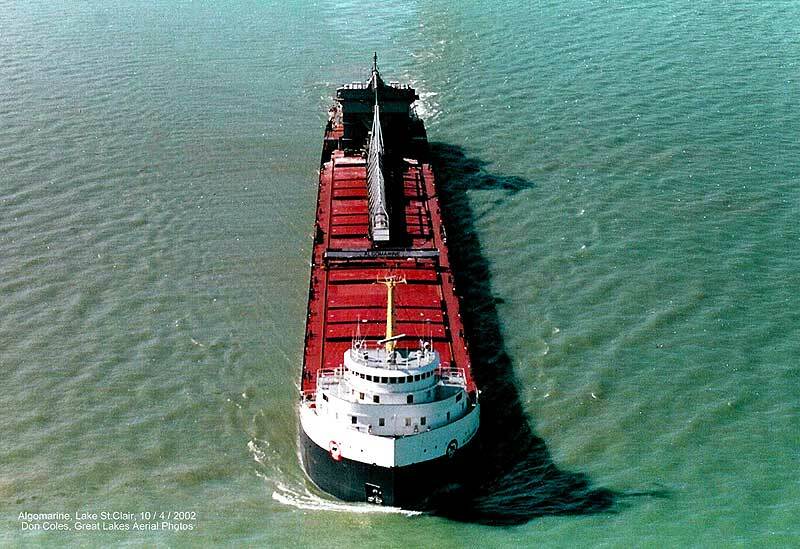 During the Lake Manitoba’s first full season of sailing; the vessel broke two cargo records. 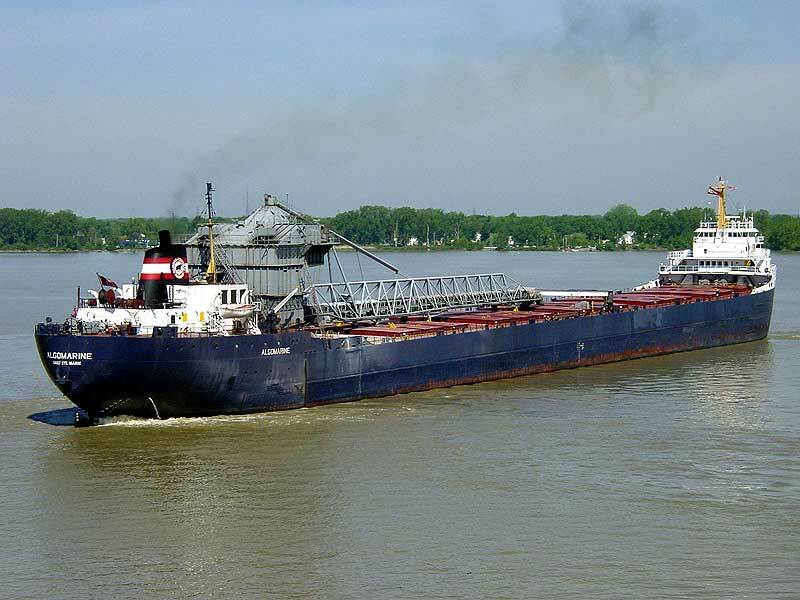 On April 25, 1969; 1,001,130 bushels of corn was loaded on board at South Chicago. 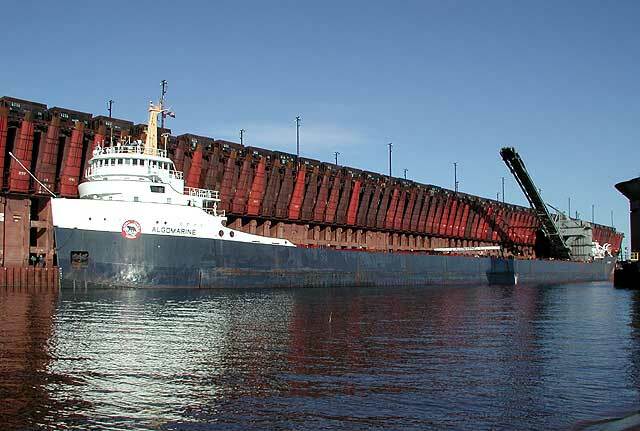 On July 4, 1969; 27,170 gross tons of iron ore was loaded at Port Arthur, ON (now Thunder Bay) destined for Cleveland, OH. Both records were broken later that same year by other vessels. 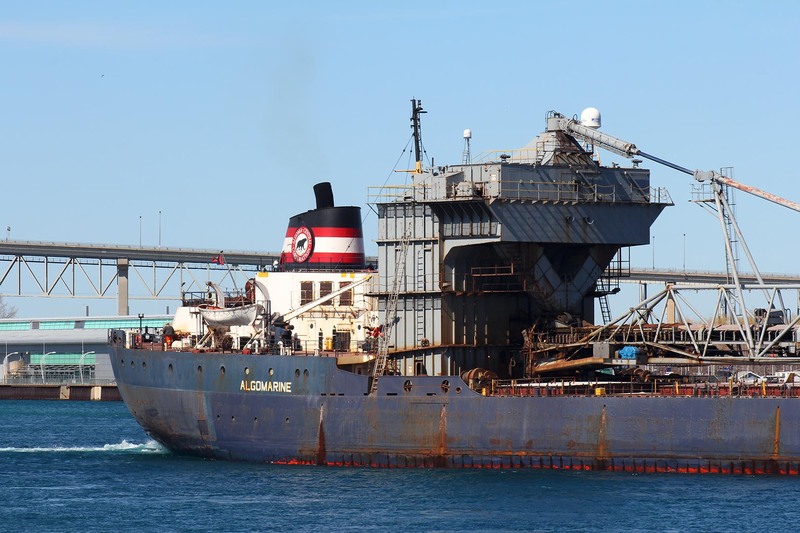 Algoma Central Corp. of Sault Ste. 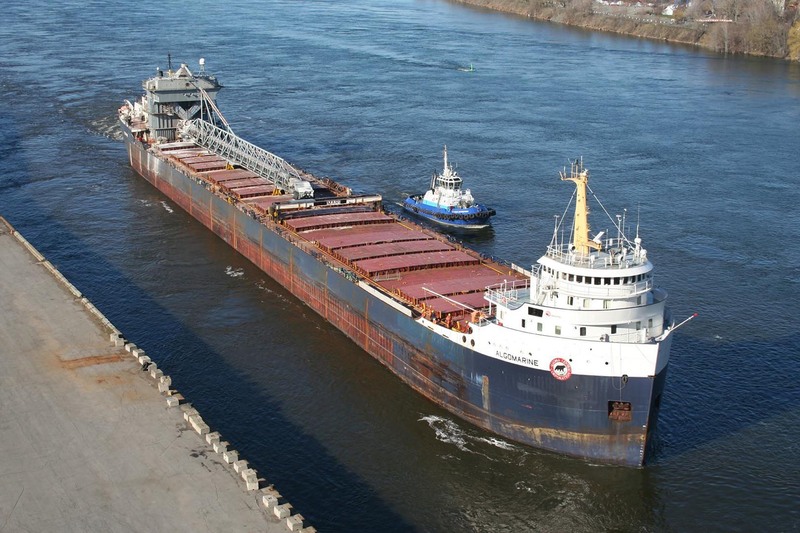 Marie, ON bought Nipigon Transports Ltd. on March 27, 1986 acquiring the three remaining vessels. 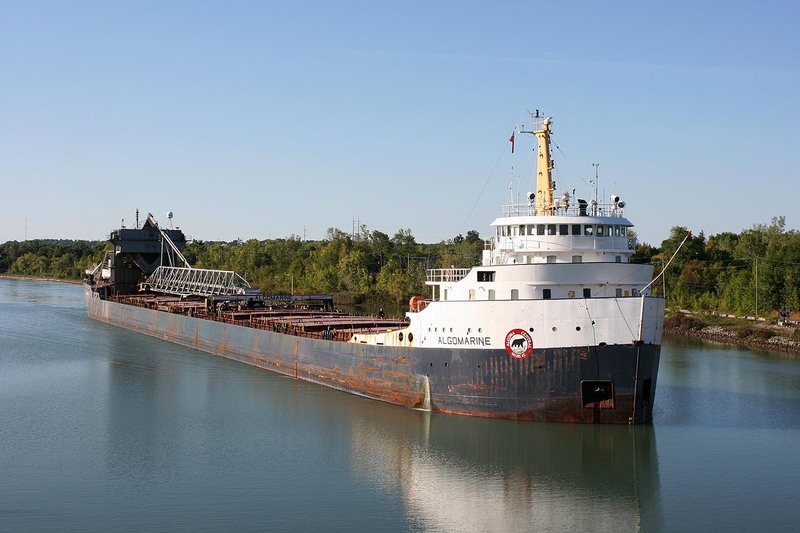 The Lake Manitoba was renamed Algomarine in 1987. 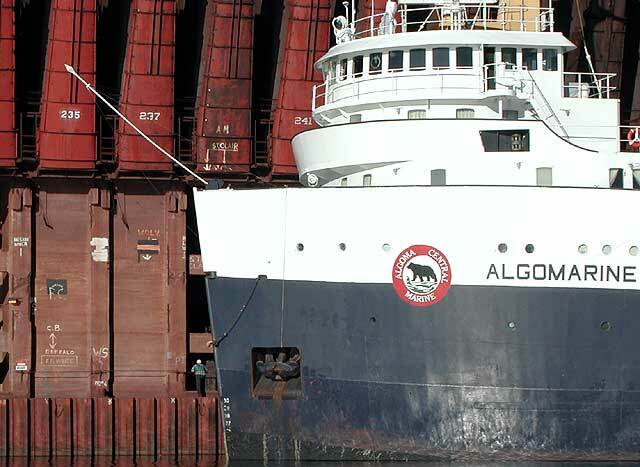 The name was derived from the corporate fleet prefix “Algo” with “marine” honoring all the staff at Algoma Central Corp. involved in “marine” operations both shore side and shipboard. 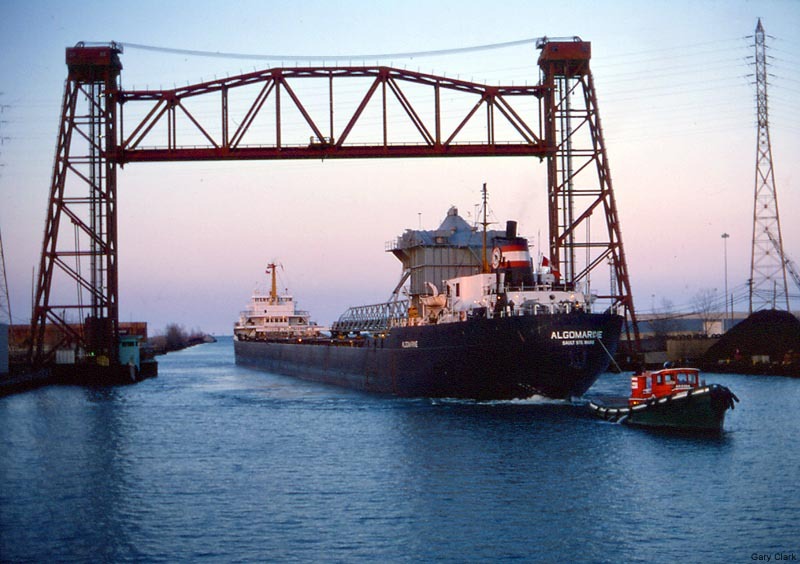 The Algomarine arrived at Port Weller Dry Docks, St. Catharines, ON August 30, 1988 for a $16 million reconstruction and conversion to a self-unloader. 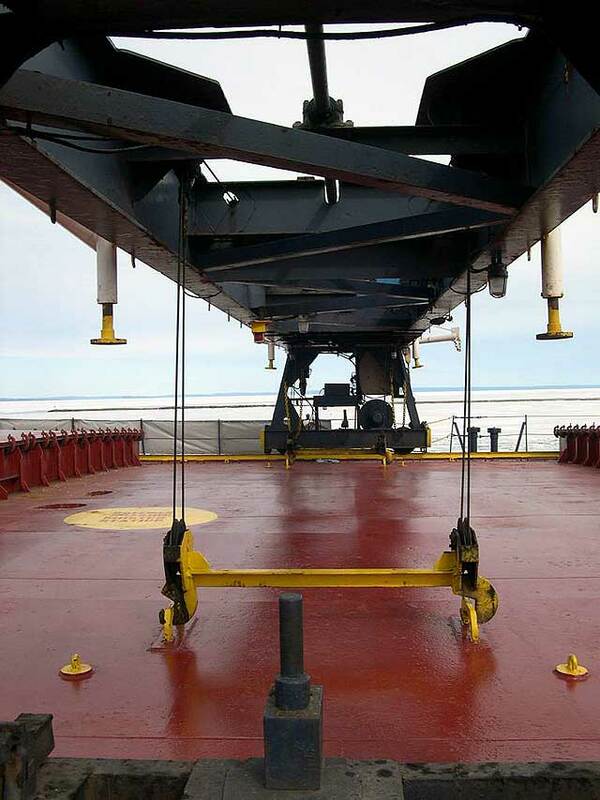 Her self-unloading equipment consists of a two belt gravity system with two loop belt elevators feeding a 250 foot discharge boom that can be swung 90 degrees to port or starboard and discharge at a rate of up to 5,440 tonnes per hour. 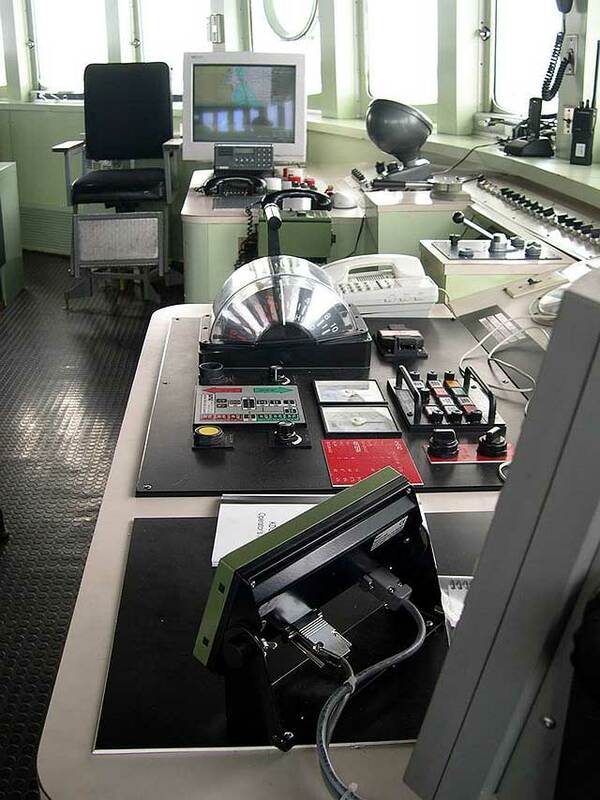 The system includes variable speed belts, bulk flow gates, plastic linings and vibrators throughout. 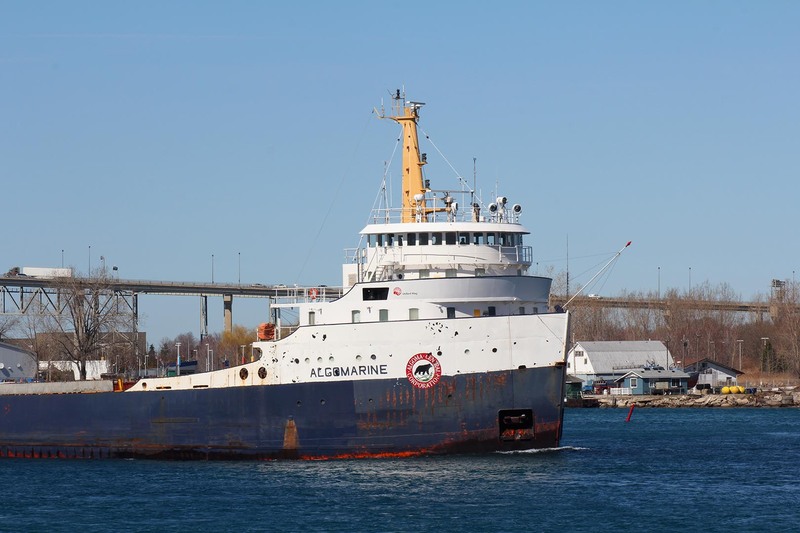 Algomarine sailed as usual in the spring of 2016, passing down the Seaway for the last time in early May with a cargo of road salt. 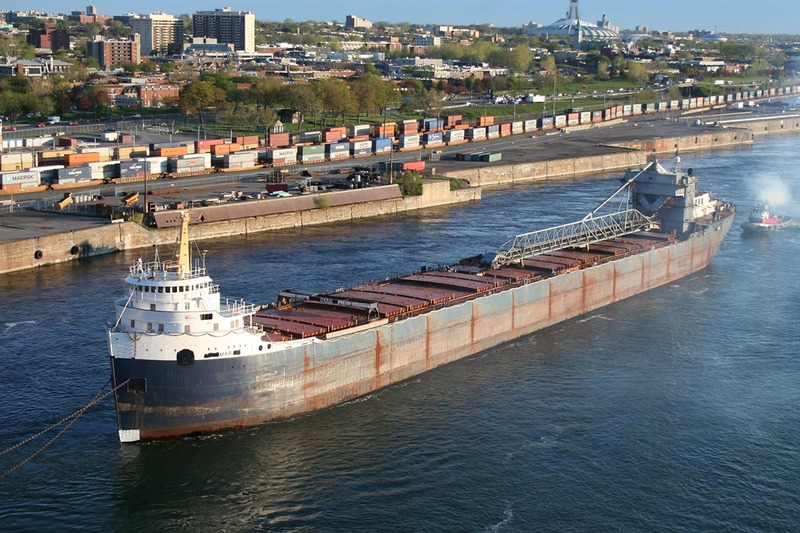 However as part of a large-scale fleet turnover by owner Algoma Central Corp., her Canadian registry was closed May 10, and she departed Montreal on Wednesday, May 18 under the shortened name Mari, with the deep-sea tug Diavlos Pride leading the tow. They arrived at the scrapyard at Aliaga, Turkey, in mid-June. 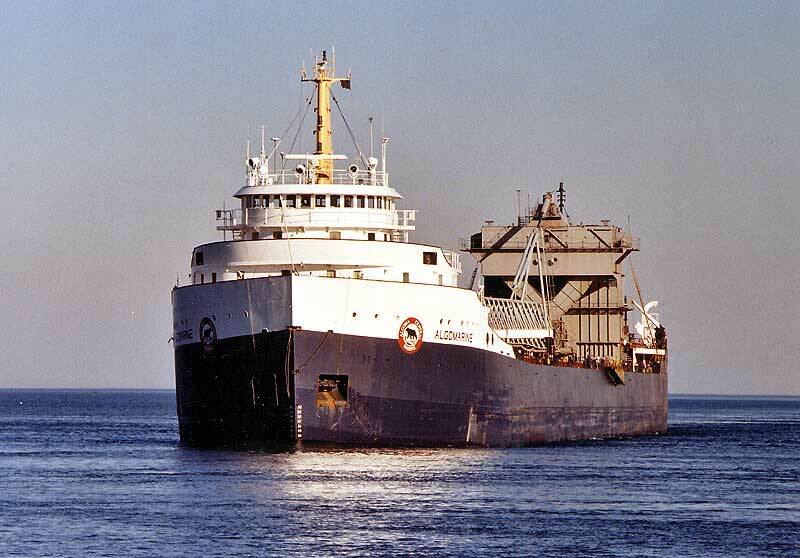 Lake Manitoba and A. S. Glossbrenner laid up for the winter in Midland, Dec. 31, 1983. 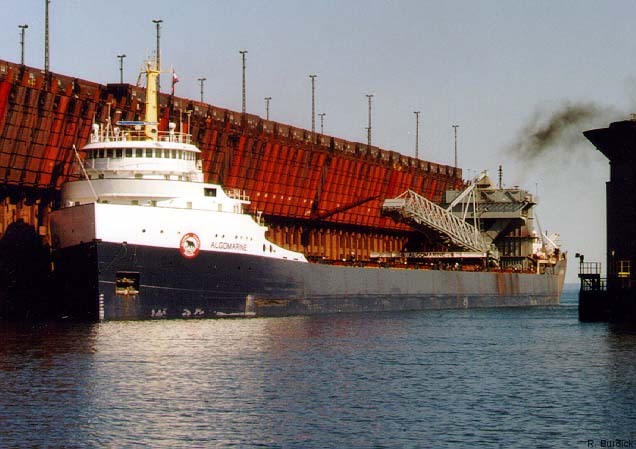 Lake Manitoba alongside the Coastal Canada at the Government dock in Sarnia, October 17, 1985. Veiw from the Blue Water Bridge shortly after renaming, Sept. 20, 1987. Detroit River, May 30, 2001. 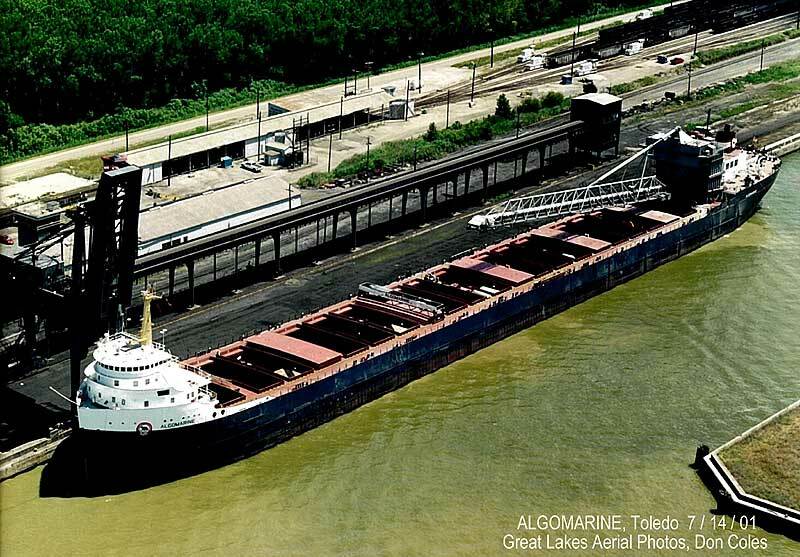 Loading coal in Toledo, July 14, 2001. Close up of bow, April 13, 2002. 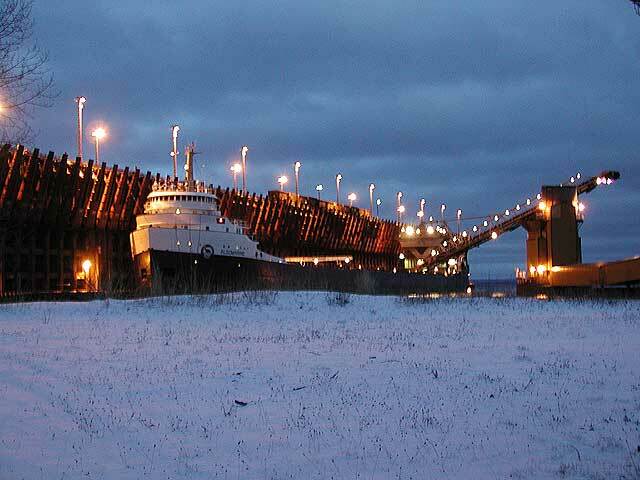 Marquette Ore Dock, April 13, 2002. Stern view Toledo, May 27, 2002. Aerial view, Oct. 4, 2002. Close up of the unloading boom. 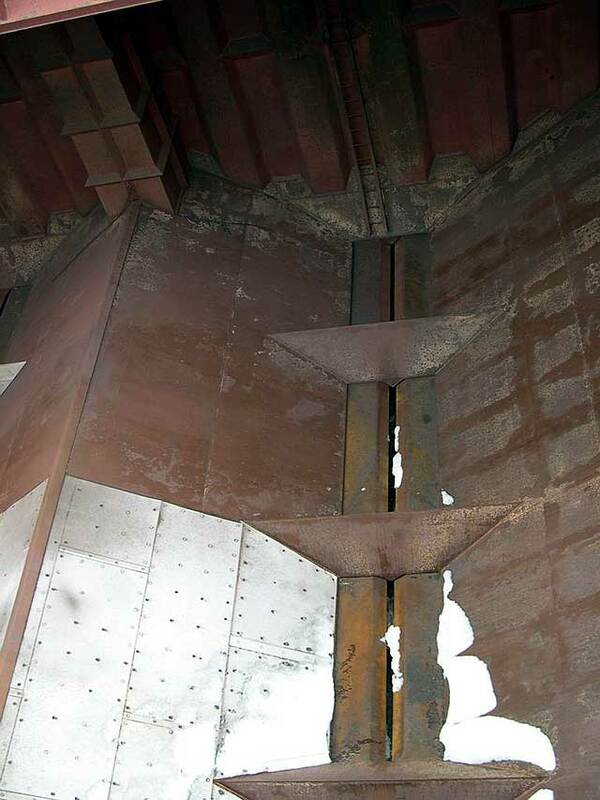 View under the hatch crane. Lookind down in the hold. Going under the Garden City Skyway, Sept. 16, 2012. 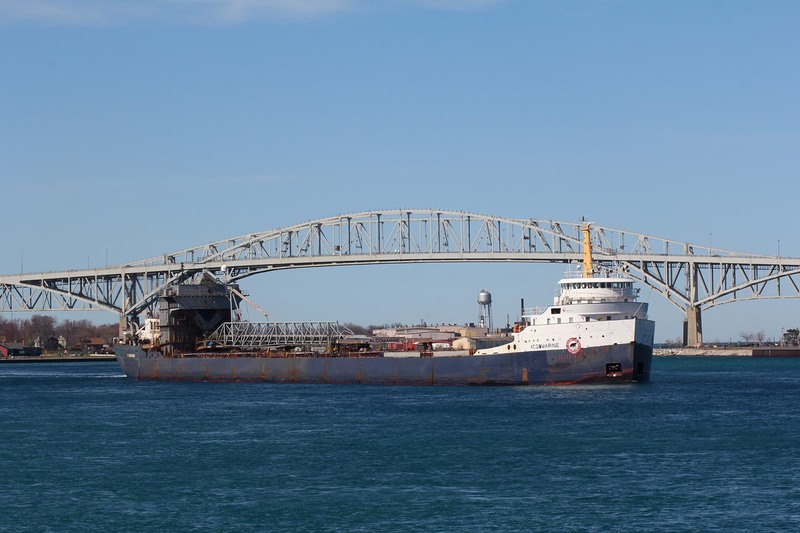 Downbound through Port Huron, April 18, 2015. Close up of the bow, April 18, 2015. Close up of the stern, April 18, 2015. Stern veiw, April 18, 2015. Tying up for the last time in Montreal, May 1, 2016. Departing Montreal under tow for Turkey, May 18, 2016.